On December 31, 2017, at 17h 33min UT, a few hours before we entered 2018, a very bright fireball was observed over the United Kingdom (mainly from England and Scotland)! 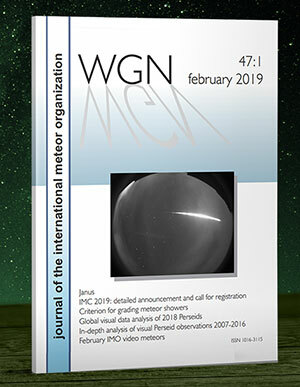 In less than 2 hours after the event, more than 400 reports were sent to the International Meteor Organization. The count now stands at over 800 reports. 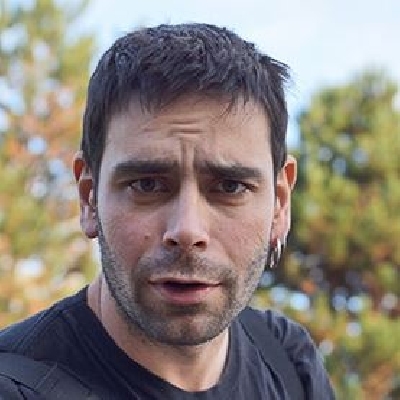 It was also recorded by UKMON video network. 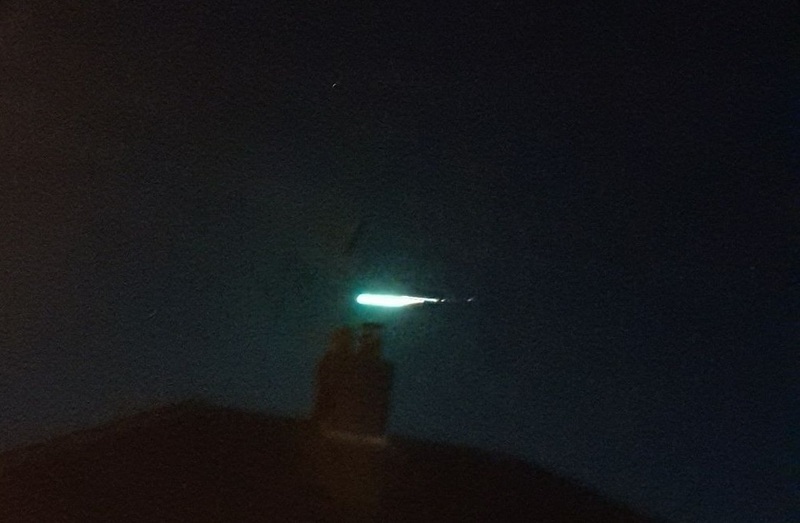 According to reports and videos (see below), the greenish/reddish fireball was quite slow moving, lasted more than 10 seconds, and it fragmented in smaller parts at the end of its luminous path, before vanishing. Rough automatic analysis of the reports received until now show the meteor started being luminous 80 km offshore Hartlepool, and traveled from East to the West to disappear 100 km onshore and 20 km South of England/Scotland border, halfway between Penrith and Carlisle (Cumbrie county). At the end of its luminous path, the meteoroid was nearly 50 km in altitude, which gives no chances for any meteorites to reach the ground. If you observed, photographed, or filmed this fireball, please report it! This will help to improve the calculations of the atmospheric trajectory of the meteoroid. Hello we also saw this on our way to new year celebrations outside Uttoxeter, Staffs. We arrived just before 6 and saw it maybe 10-15 mins before. It was lucky. I ous bright green with a red tail. We thought “comment? No. Fighter jet wing? No as there was no reflection of a second wing or any visible sign of a jet or a firework? No as it just kept going.” It was cloudy but the light appeared to be close to earth. We were driving at the time. Saw the green ball dead in front of us. Carnaby, East Yorkshire. It came from west Bridlington area heading towards burton Agnes. Very very low. Lasted around 4 seconds.